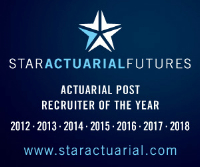 Our client is looking to hire an ambitious actuarial candidate to join their growing team and well-respected business, in a highly commercial role with a product and propositions focus. The team offers wide-ranging roles with genuine breadth and excellent prospects, requiring an analytical mind and strong communication skills. You will have a solid academic record, and will be making progress through the actuarial exams, or have qualified as an actuary. Contact us now for more on this exciting long-term career opportunity, which offers exposure to senior stakeholders at all levels.